I am looking for MSc and PhD students to join the lab. 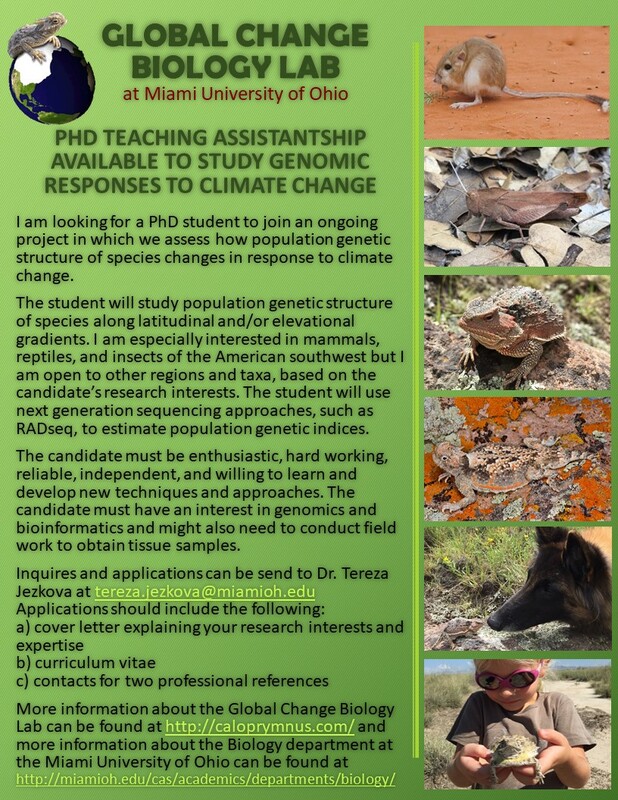 Prospective garduate students must be enthusiastic, hard working, reliable, and willing to learn new techniques and approaches, and have an interest in global change biology, genomics, bioinformatics, populations genetics, or ecological niche modeling. 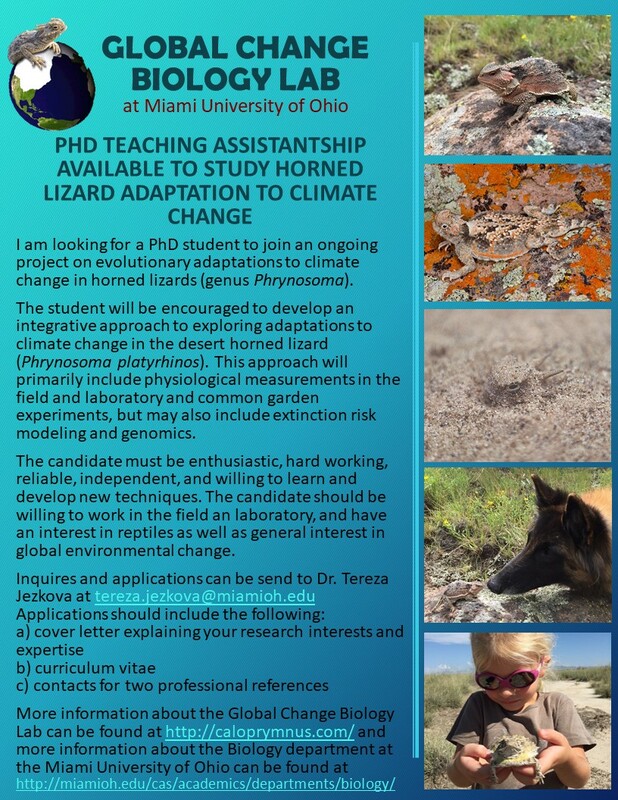 Plastic and adaptive thermobiology in the desert horned lizard accross climate gradients (approaches: measuring thermoregulation in the field and laboratory, statistics). Diversification and niche evolution in Oidipodinae grasshoppers (approaches: phylogenetics, bioinformatics, GIS, niche modeling). Post-glacial range expansion in North American mammals (data mining, bioinformatics and GIS analyses).